Why choose us? Quality, Trust, Service & Selection! Now with two locations to better serve you in the Tri Cities area, so we can be your go to used dealer in the Tri Cities. 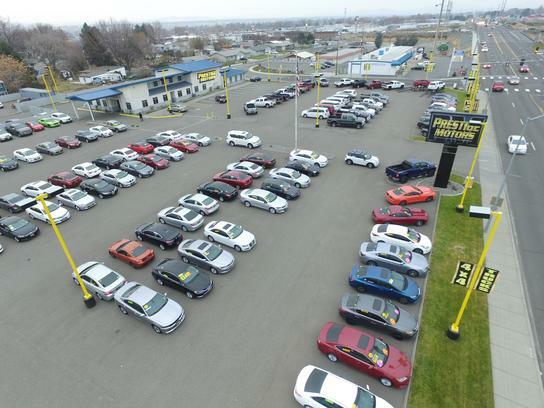 Offering quality & fully reconditioned pre-owned Cars, Trucks, Vans & SUVS to all of our neighbors in Ellensburg, Sunnyside, Moses Lake & the entire Pacific Northwest. If you can't come out to our location we will gladly deliver your vehicle to you! At Prestige Motors, not only will you find an entire line up of the best quality pre-owned vehicles around, you will also find a friendly & accommodating staff eager to assist you. We know you have high expectations when shopping for your next vehicle. We enjoy the challenge of meeting & exceeding those expectations each & every time. We are here to assist you every step of the way. From parts & service to help with financing, our goal is to provide you with the best car buying and owning experience possible. "Working with Jovani and the professionals at PM made my purchase easy and stress free. Buying a car has never been easier. Jovani and Tito went above and beyond, even staying after hours to insure my family and I found a car that we not only loved, but felt was reliable and safe. Their office was very welcoming, with wi-fi and a comfortable seating area, perfect for entertaining your children. I am by no means an easy negotiator, but the final deal was exactly as discussed, and there were no last minute surprises. They go above and beyond in making you feel you got the best bang for your buck. I would definitely recommend PM to anyone looking to buy. You will not be disappointed." 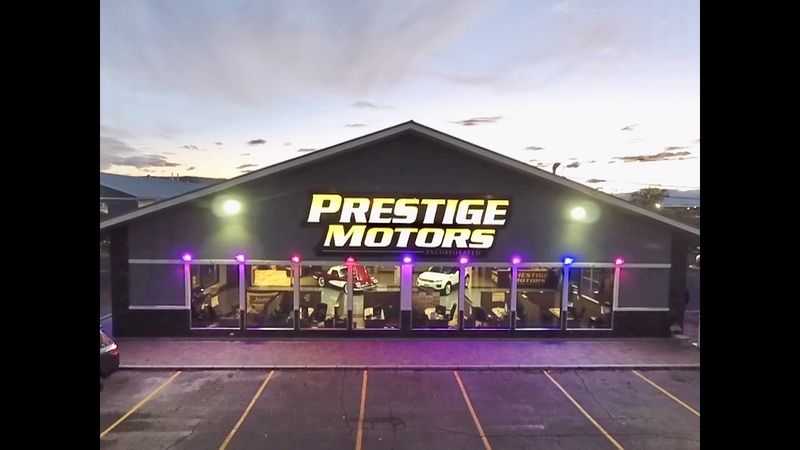 The BEST DEALS are at Prestige Motors, Yakima, WA. "I give Prestige Motors 5 stars for their AWESOME STAFF, EASY, speedy process and their quality inventory. We have been customers of PM for 5+yrs and have always had a great experience with them. We highly recommend Prestige Motors for any new or used purchase. PM can get you into the car of your dreams. They will get you approved over the phone and even deliver your new vehicle to your home or workplace. If you want a smooth, stress free experience go to Prestige Motors in Yakima, WA & ask for Moe aka Fresh he will hook you up with a great deal!" "I came in looking for the car that I had seen the online and it was everything that I had asked for.... the sales man Gerry and all manager were super helpful and so friendly. Sam was super professional and very knowledgeable , never once did I feel pressure to buy the car. One of the best experience I've had both shopping and purchasing the car. The process was fast and they explain everything in way that I could understand everything. All that staff were so friendly and very professional. Looking forward on making more business with them on my future car purchases.. Thank you all once again for making this experience fun enjoyable." "Amazing dealership! Wonderful selection of vehicles for awesome prices! Moe Raji was able to help me get into the car of dreams! The staff has shown amazing customer service. When I need another vehicle this will be my first stop!"